Romans thought that truffles grow because the god Jupiter struck an oak tree with a thunderbolt and that they considered them an aphrodisiac. Our truffles compete with Italian in quality. The best place to try truffles is Giancarlo Zigante’s restaurant Livade situated near Motovun. 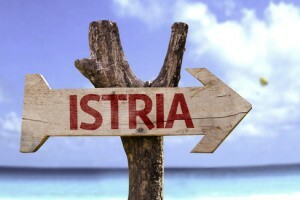 Istria is a Croatian gem from whence you will surely return with empty pockets and a full heart. After you return, you will surely congratulate yourself on your choice of travel destination – you will not be disappointed with what this peninsula, over which many military and political battles have been fought, has to offer.